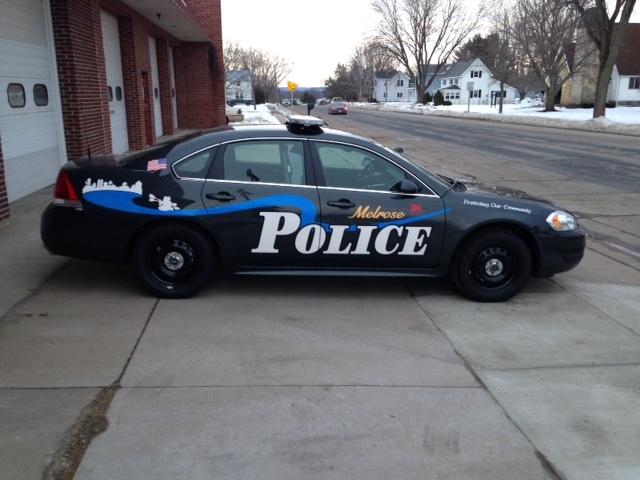 The Melrose Police Department is a part-time department that provides protection and Law Enforcement services in the Village of Melrose.The department makes no attempt to replace the Jackson County Sheriff’s Department as the primary Law Enforcement agency. In fact, Village Police work hand in hand with the County Sheriff’s Department, sharing their Court Officer system and record keeping files. Deputies even use the Village Hall as a “substation” office when needed. 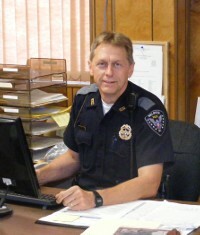 Chief Cal D. Smokowicz has worked as the Village Police Chief since June of 1998. 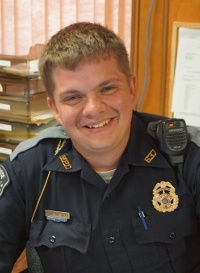 Cal also serves as the Chief of Police in Lake Hallie, Wi. 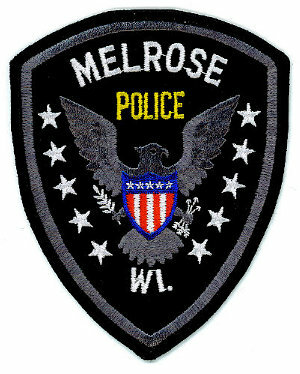 Melrose’s part-time officers patrol 40-50 hours per month within Village limits.There is no published schedule in advance for patrols. In the case of an emergency, always call 911.For same day attention, call the Jackson County Sherriff’s Office at (715) 284-5357.To leave a message for Melrose Police Officers, call (608) 488-3191 or send them an email at [email protected]. The Police Chief produces an annual report at the end of each calendar year outlining hours worked, miles patrolled and significant crime statistics. You may view the report on this website. 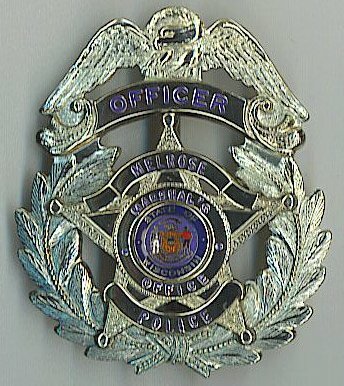 The Village of Melrose uniform badge was designed to convey the uniqueness of the Police Department. In fact, the Village still uses the Village Marshal law enforcement system.As such, our law enforcement force is comprised of a Chief Marshal and Deputy Marshals who patrol the Village. Village Marshals have all the same Police authority as any other law enforcement officer. Professionalism in law enforcement is the key to a successful Police Agency, both in conduct and look. 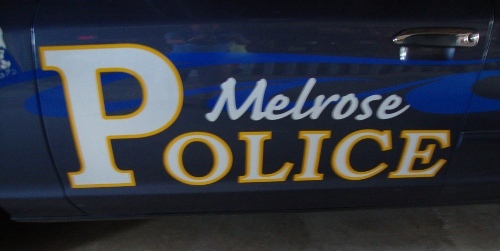 For that reason, despite its size, the Village of Melrose continues to take steps to maintain the Police Department as one of the best in the area.The uniform that the Village Police wear is very distinct. The uniform has dark blue pants and shirt. 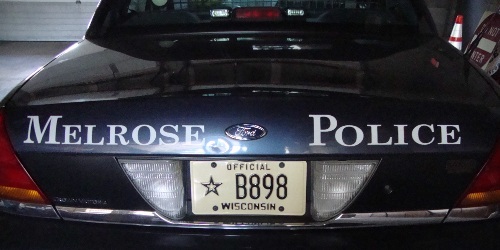 The shirt has “police” patches on both shoulders with grey epilates. A matching gray 1 inch strip runs the length of both pants legs. During the winter, a gray uniform tie is worn. 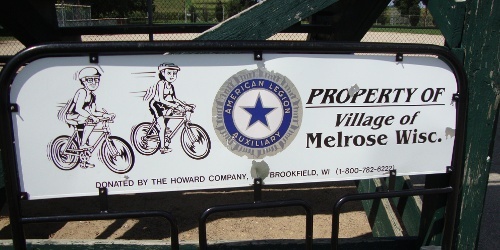 The Village of Melrose occasionally has part-time police officer employment opportunities. To learn about potential vacancies and hiring practices Click Here.